Automated boarding (Self Boarding) is becoming more generalised and commonplace. In spite of specific regulatory constraints involving documentary checks, we will ultimately board an aircraft like we take a train, which is hardly surprising in a world that is increasingly "self-service". It is more surprising to notice that in spite of the initial and barely-hidden objective of airline companies to reduce the costs of ground personnel, "less human" is being transformed into "better human". 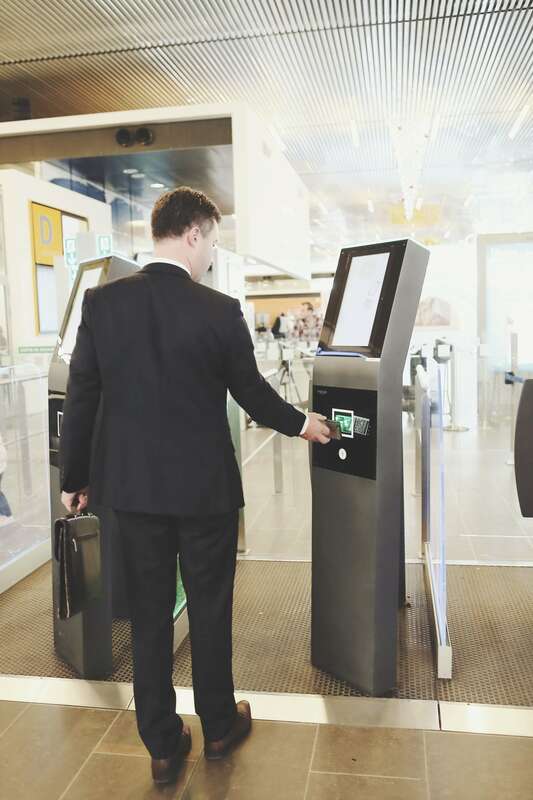 The fundamentals are known: the installation of automatic gates significantly improves the punctuality of flights due to a faster boarding rate, but their indirect benefit is the greater availability of agents, who can now take care of passengers with specific and real requirements. The work of agents, which was previously repetitive when it meant scanning several hundred boarding cards in less than 30 minutes, is now of greater value and we are seeing a turnaround: the favourable reception, by employees of ground companies, for equipment which was previously seen as job-destroying. The CUPPS CREWS platform and its SELF-BOARDING module comes within this movement and offers a broad range of tools for boarding supervision, to enable agents to remotely control the proper implementation of operations.